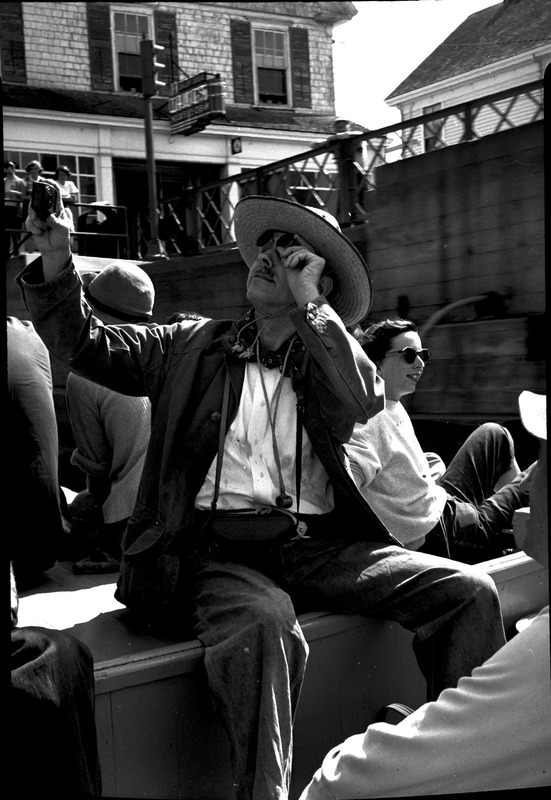 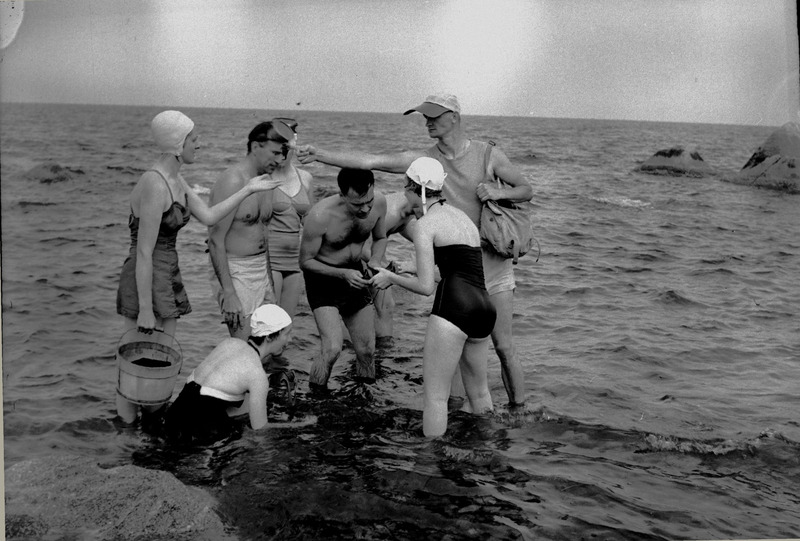 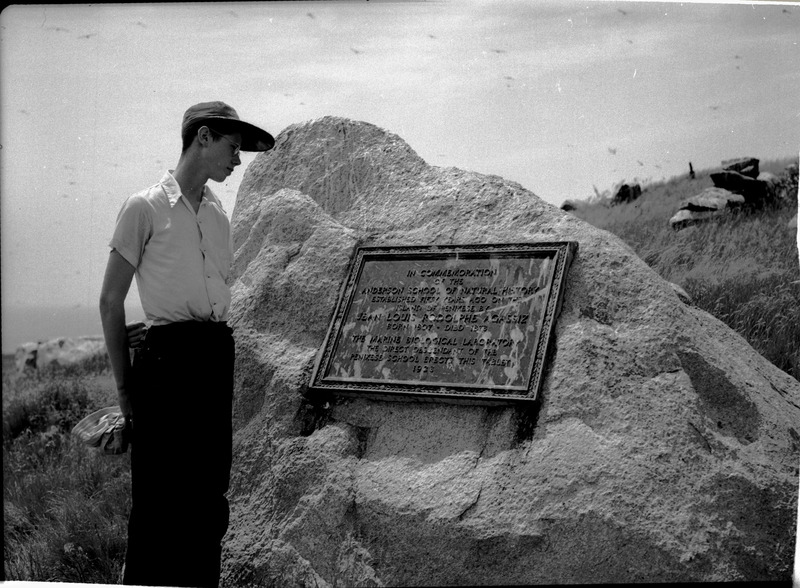 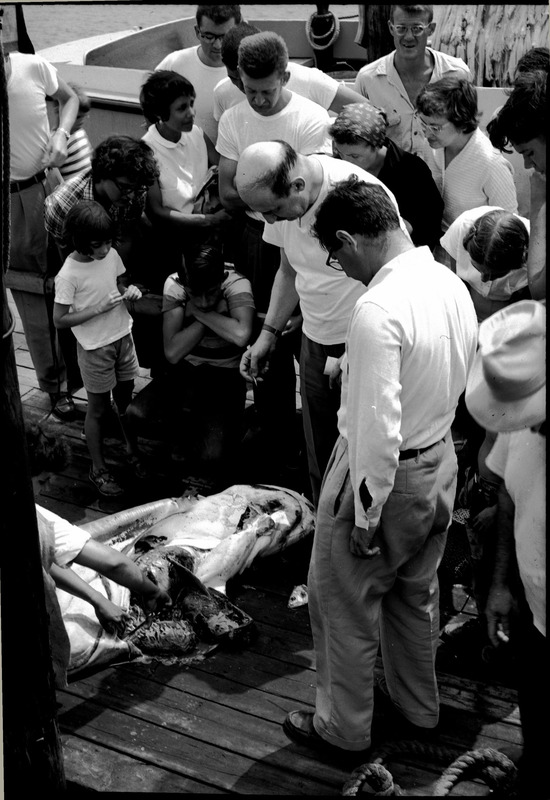 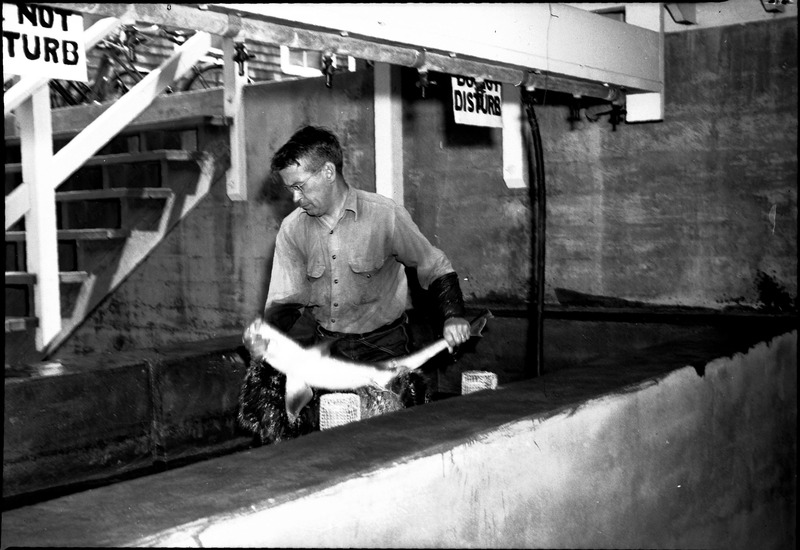 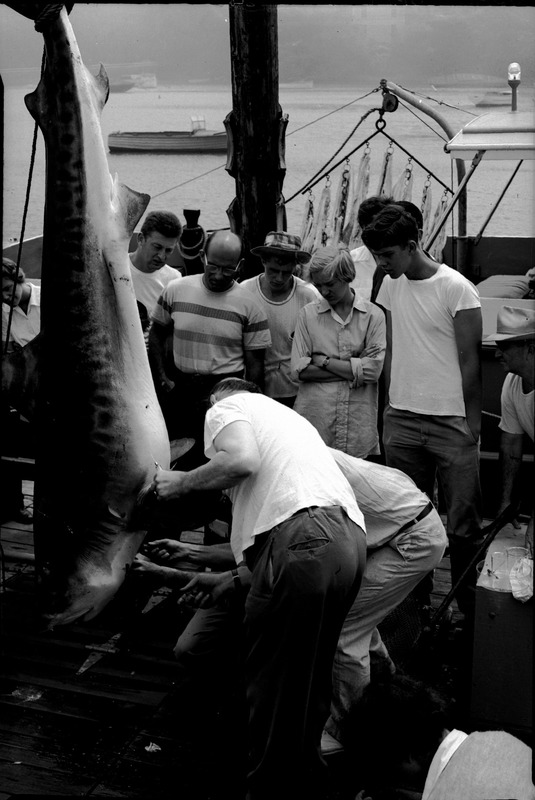 Person in foreground sitting on box and examining specimen in hand. 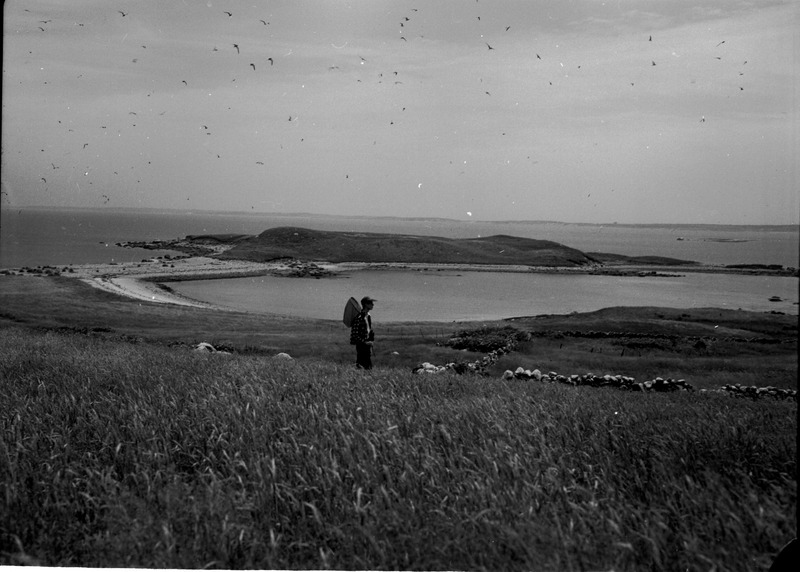 Flock of seabirds above man with net standing in a field. 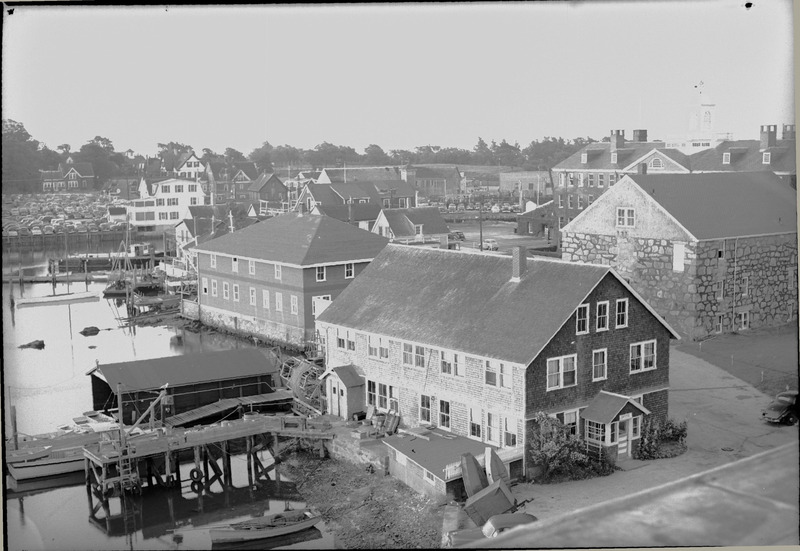 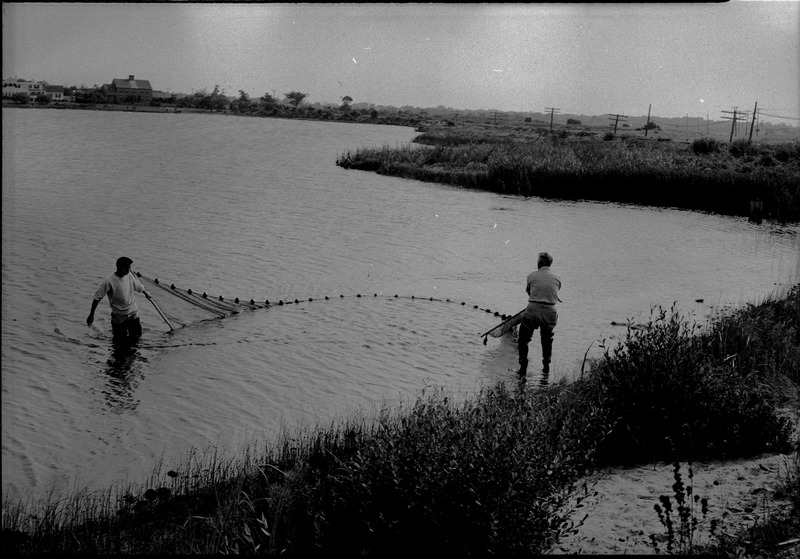 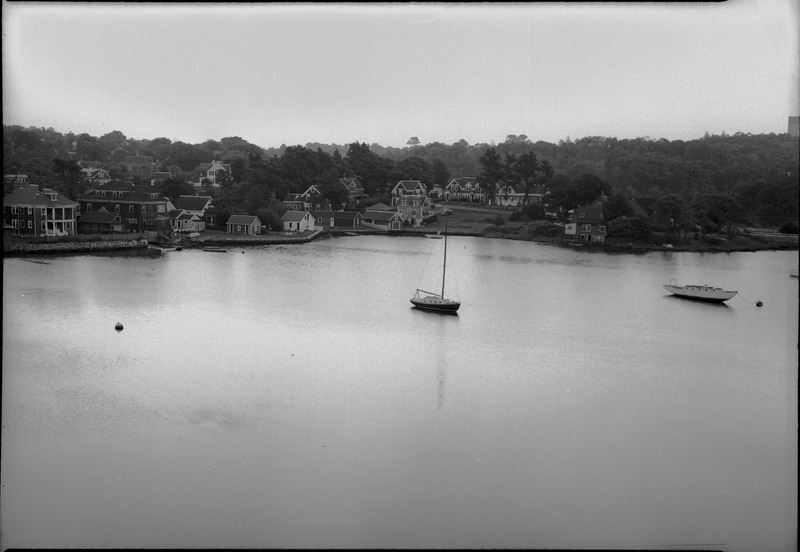 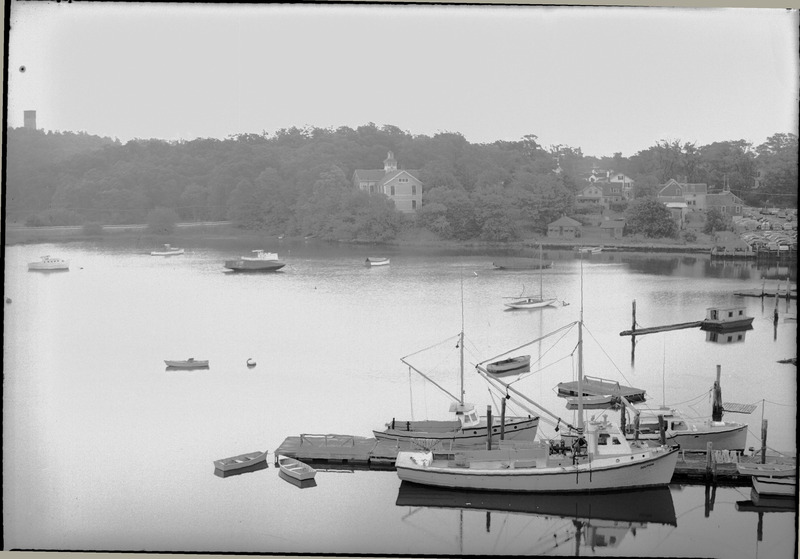 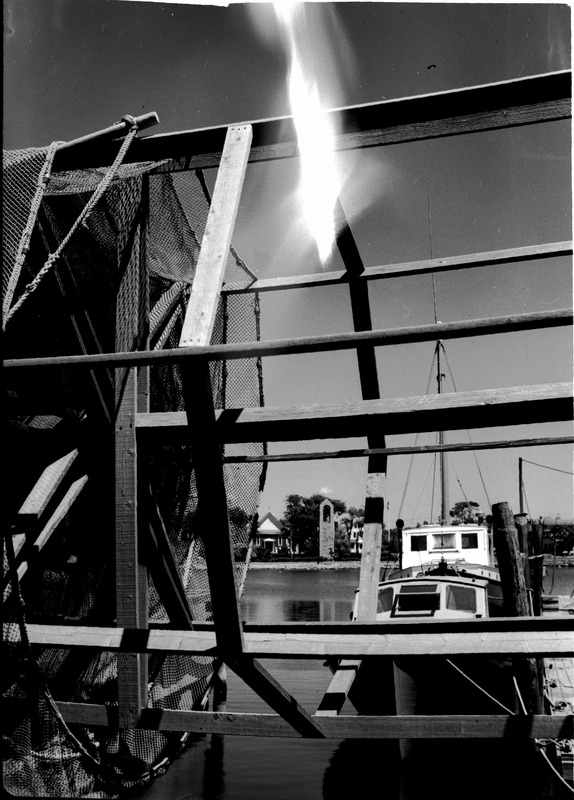 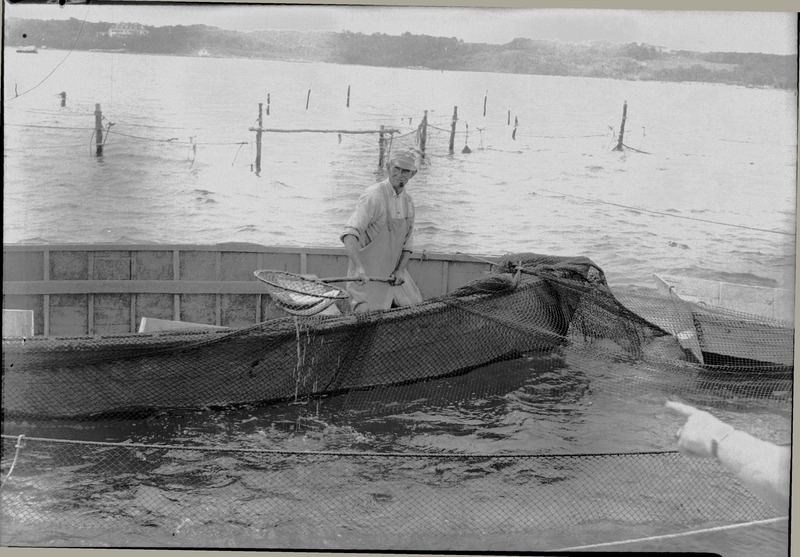 Net frame with boat and church visible in background. 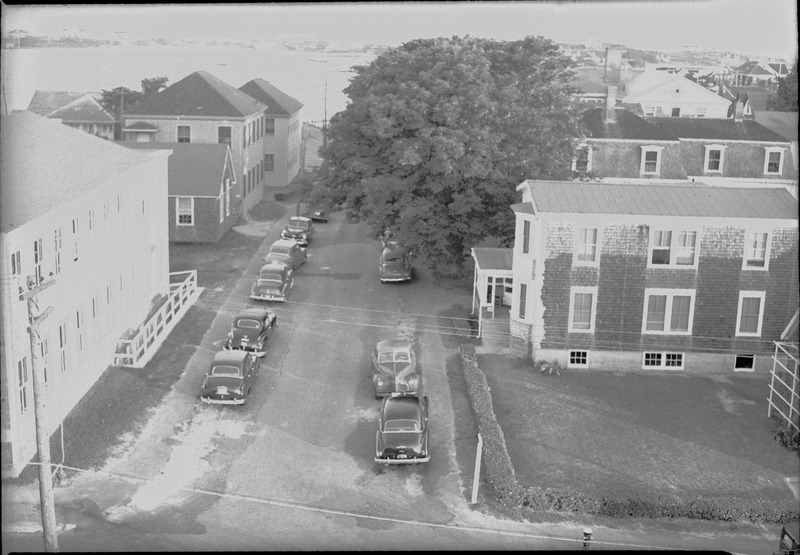 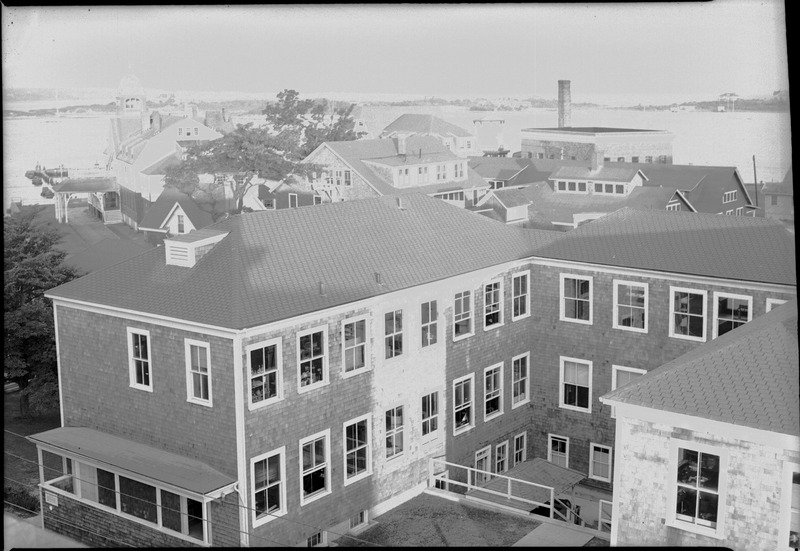 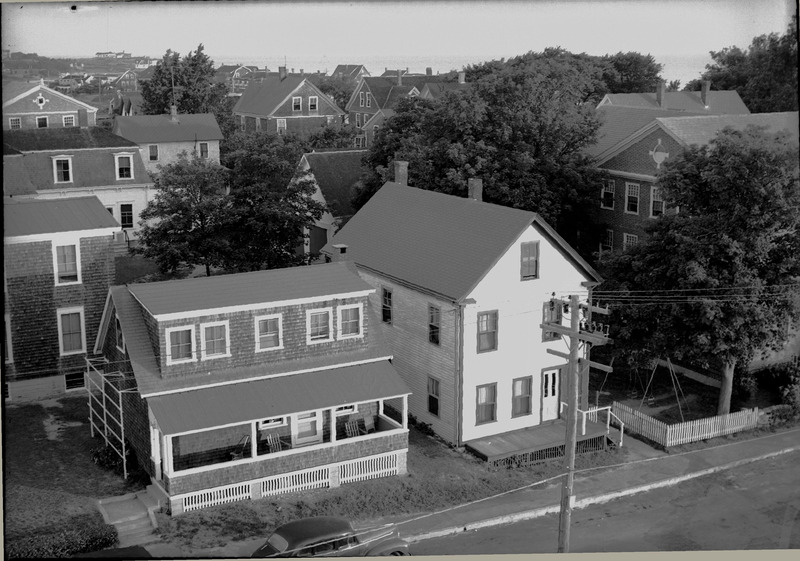 Image #2. 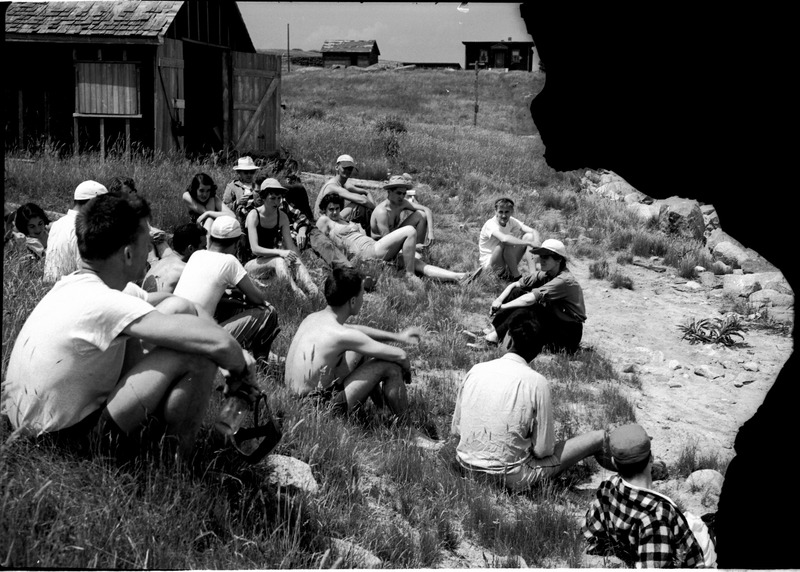 Botany students sitting in a field. 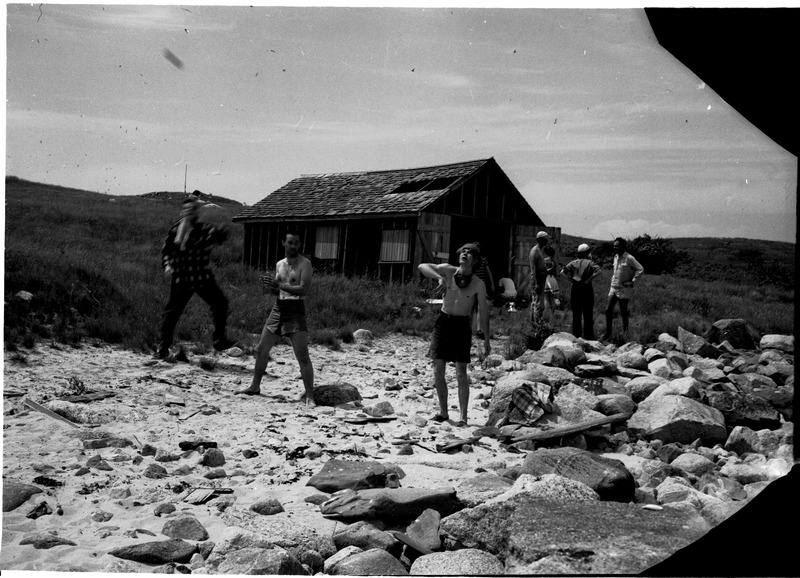 Botany students standing on beach in front of abandoned barn. 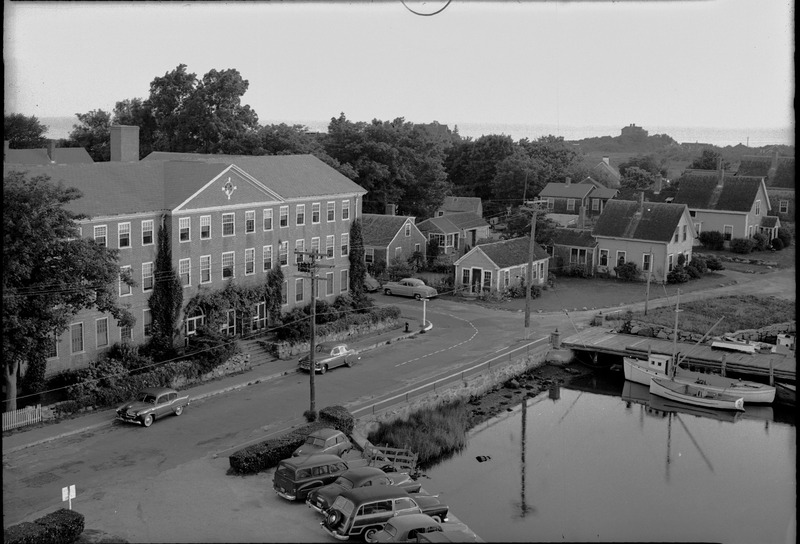 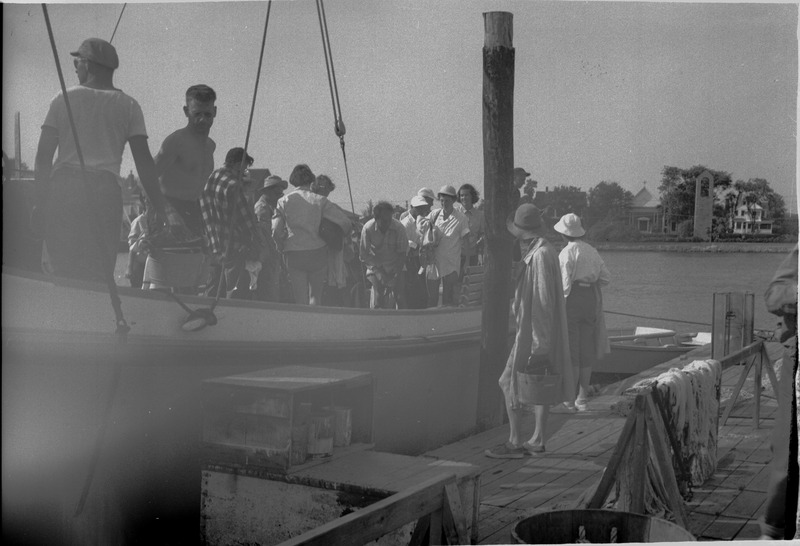 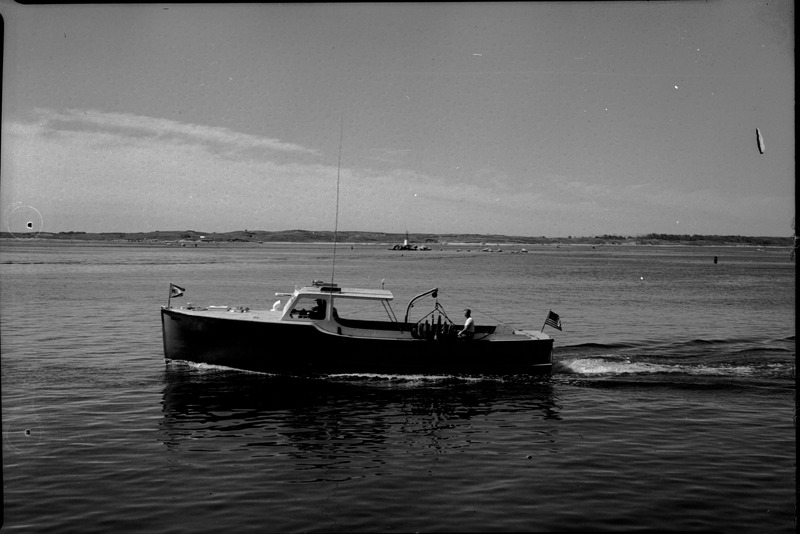 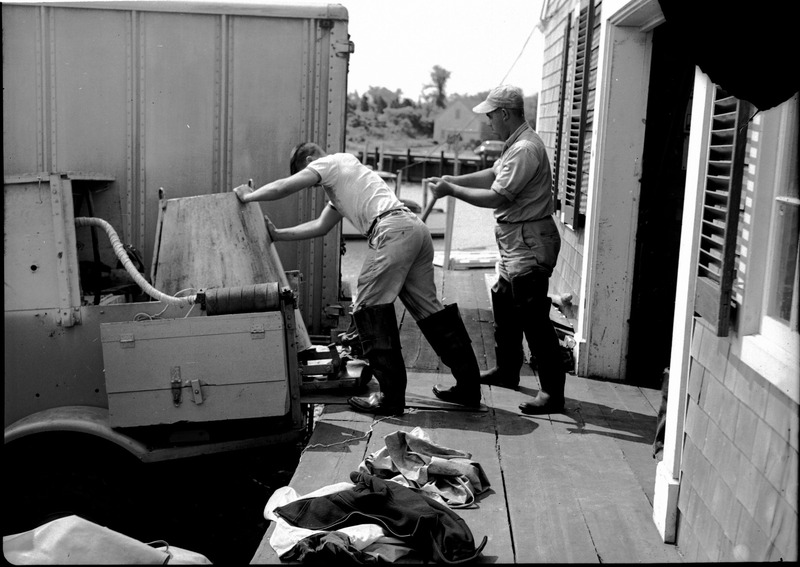 Botany students boarding a boat in Eel Pond. 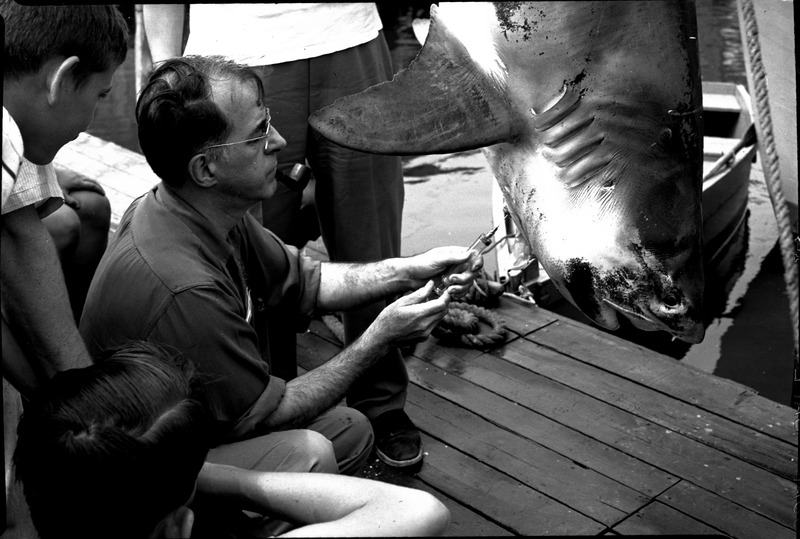 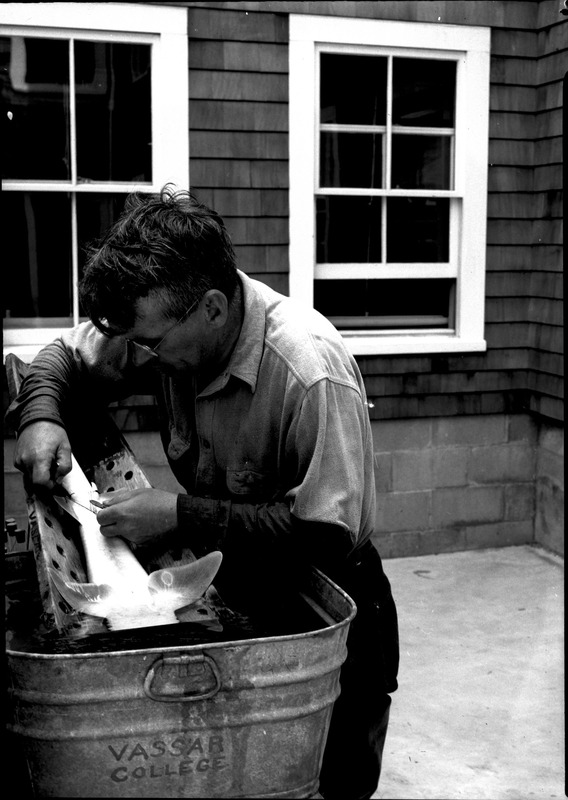 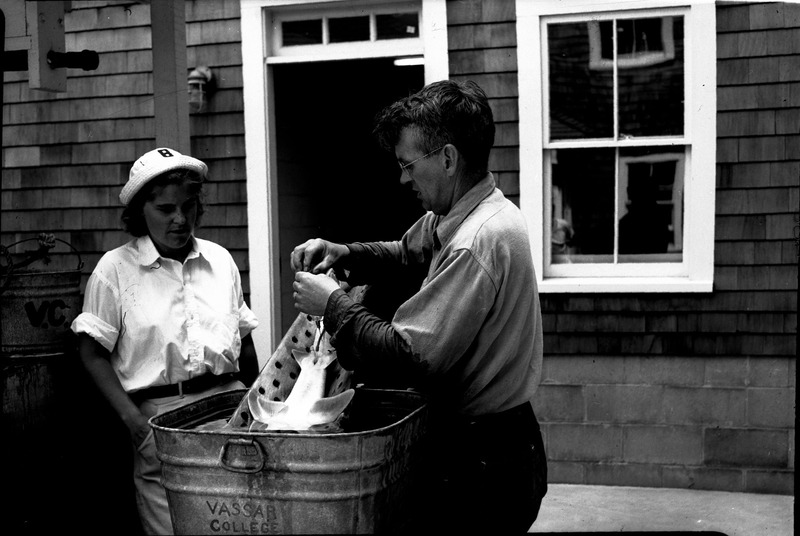 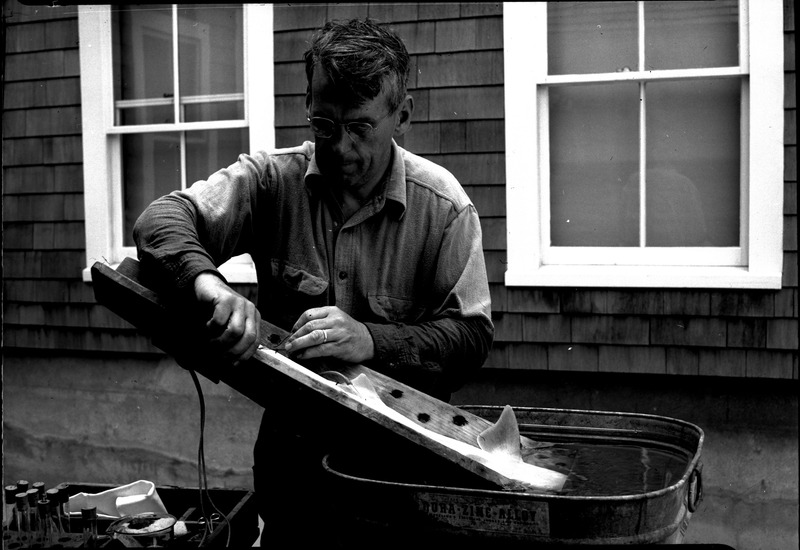 Professor Kempton working on a dogfish with a female observing. 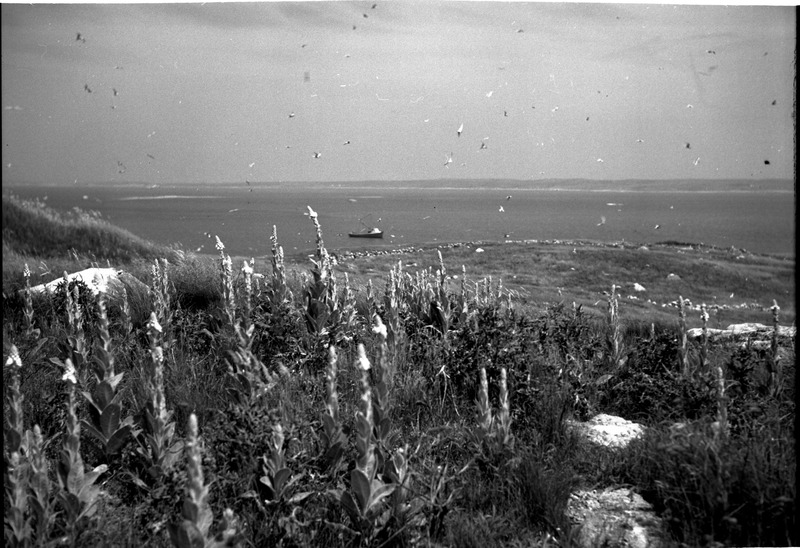 Flock of seabirds above field with lamb's ear plants. 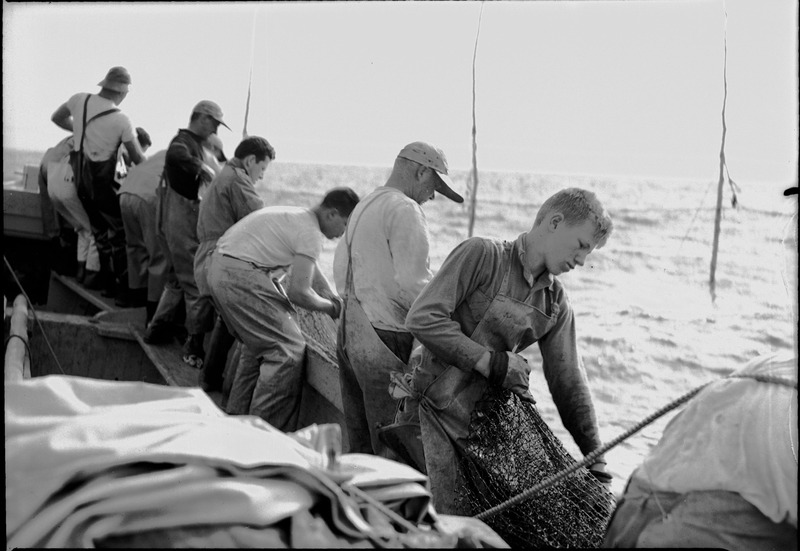 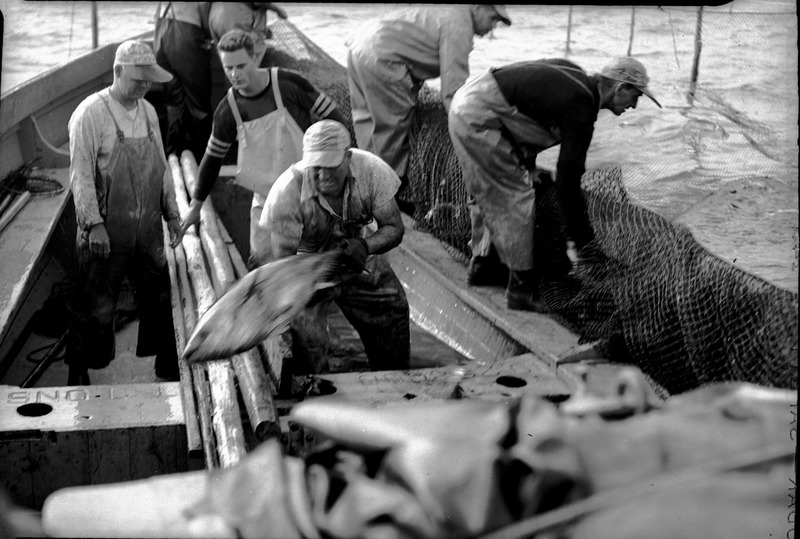 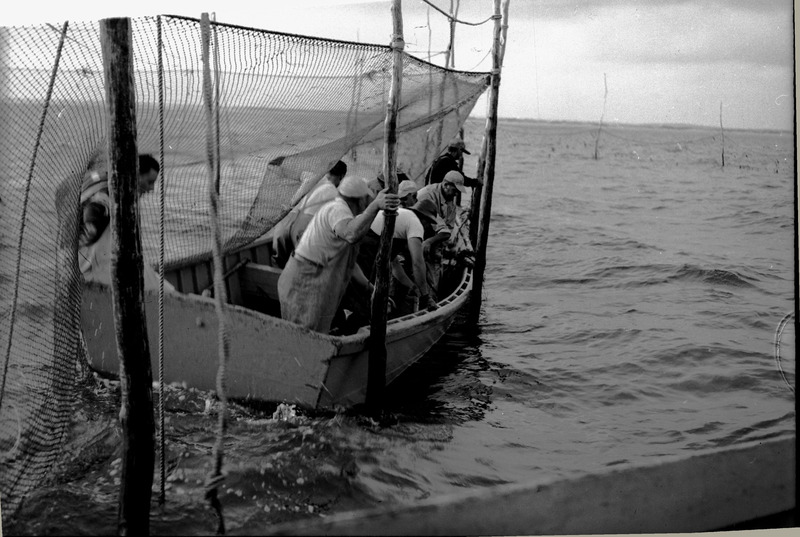 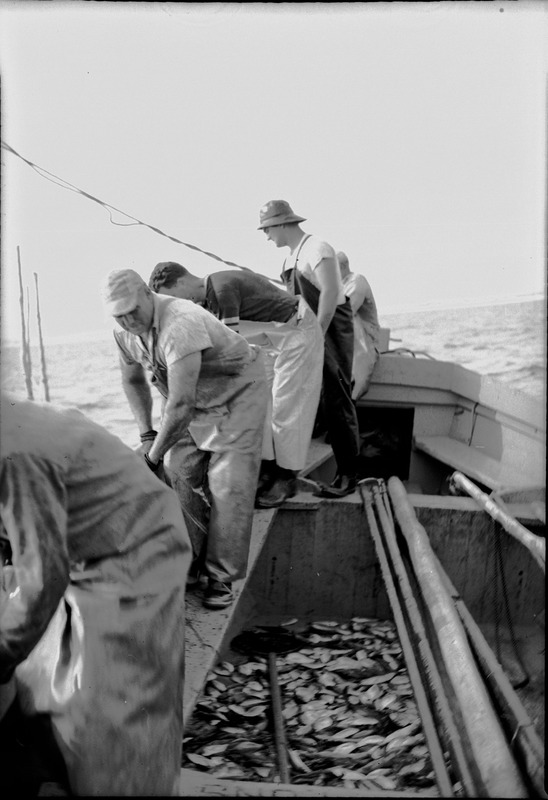 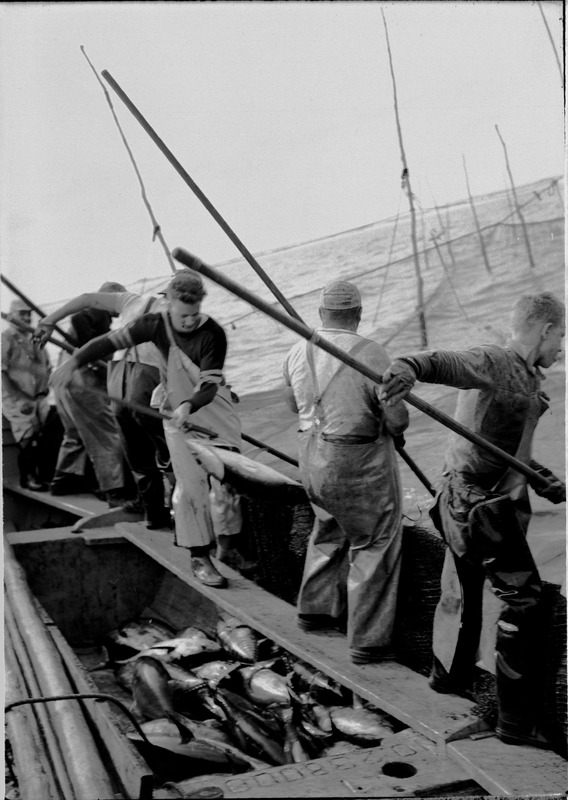 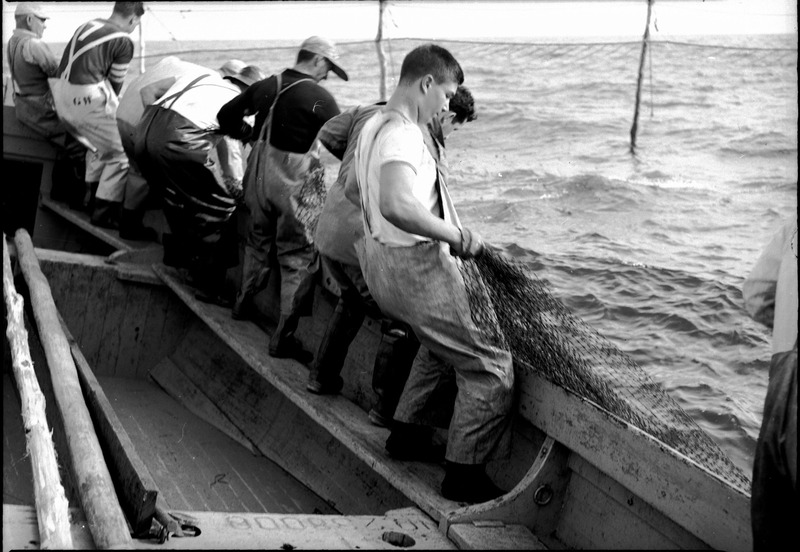 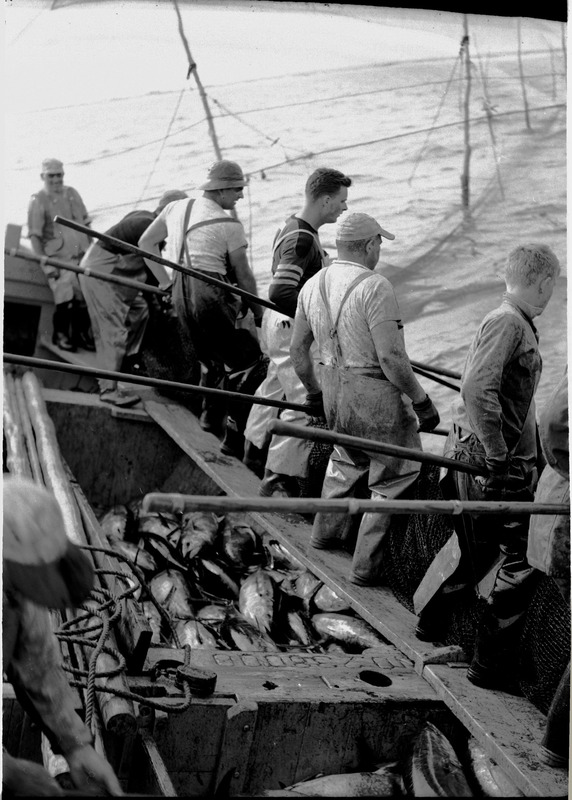 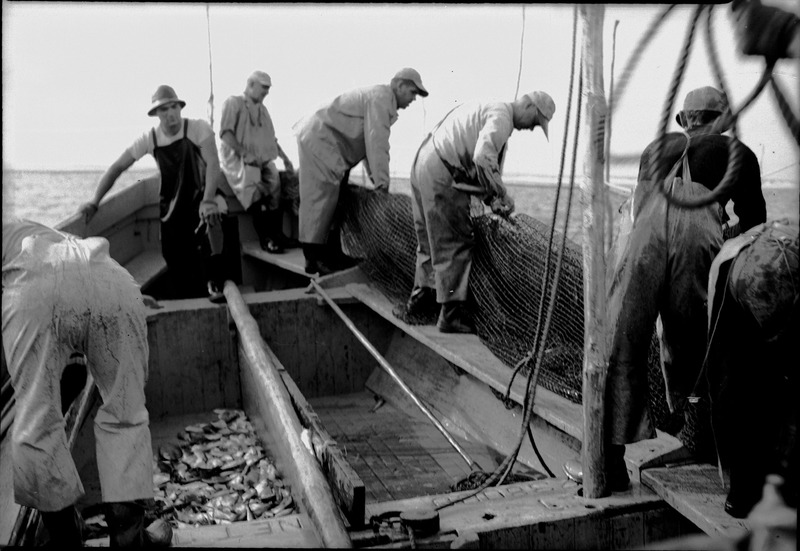 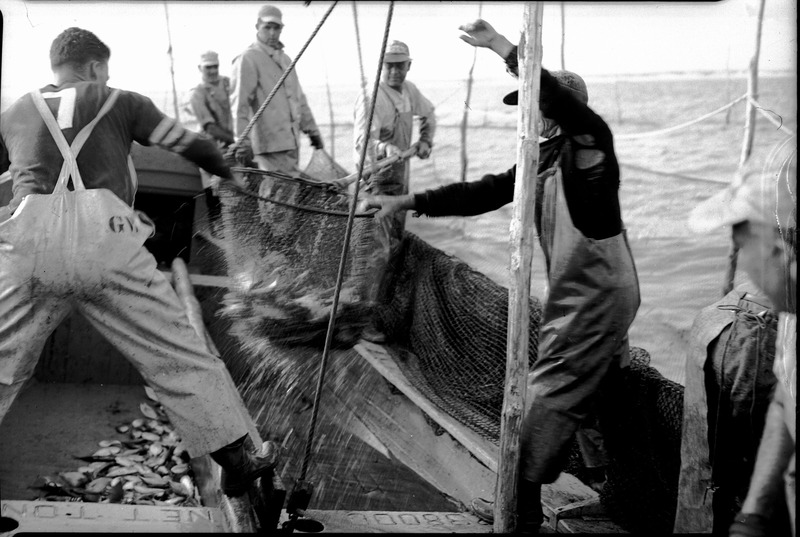 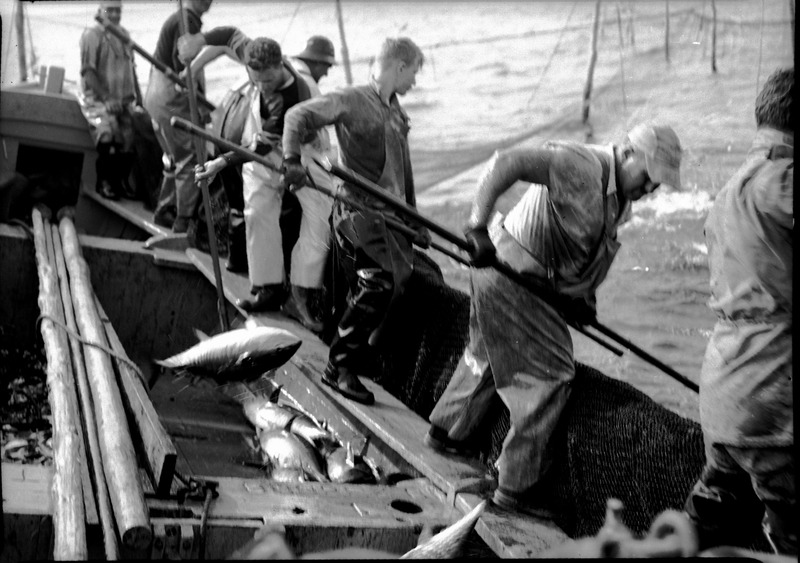 Fishermen pulling nets out of the water with a pile of fish on the boat deck. 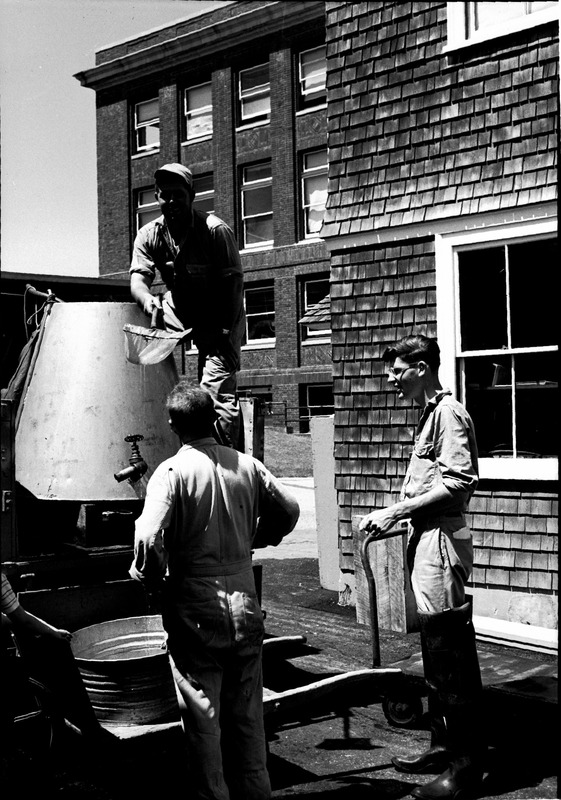 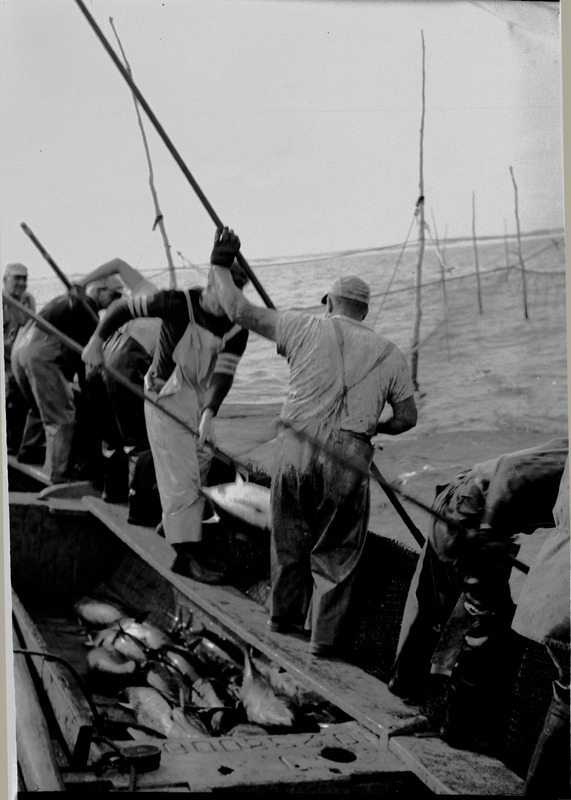 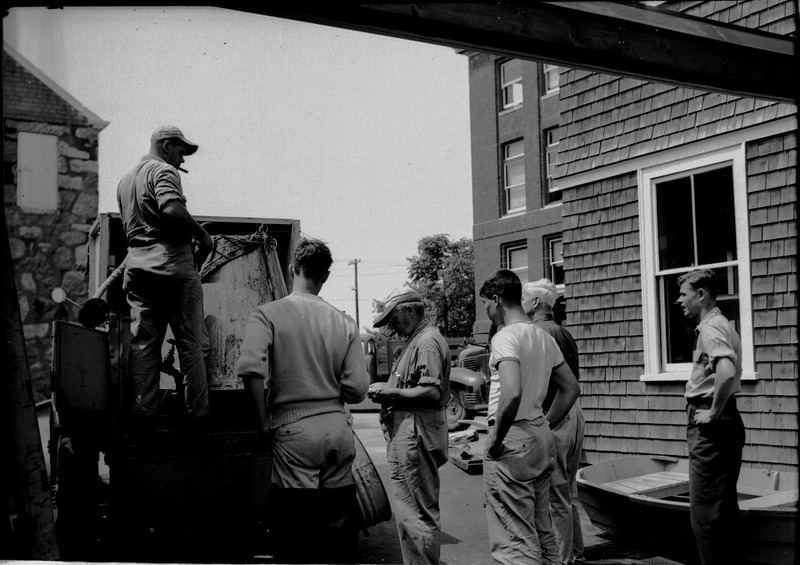 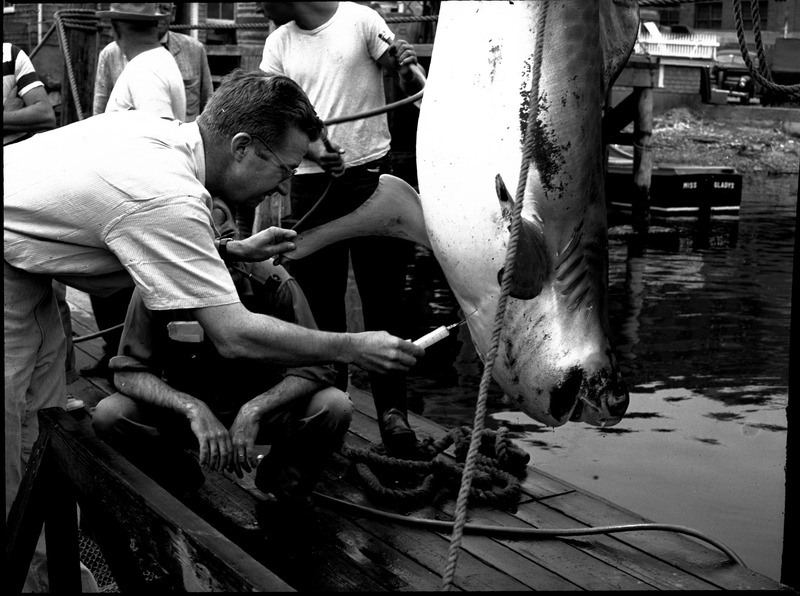 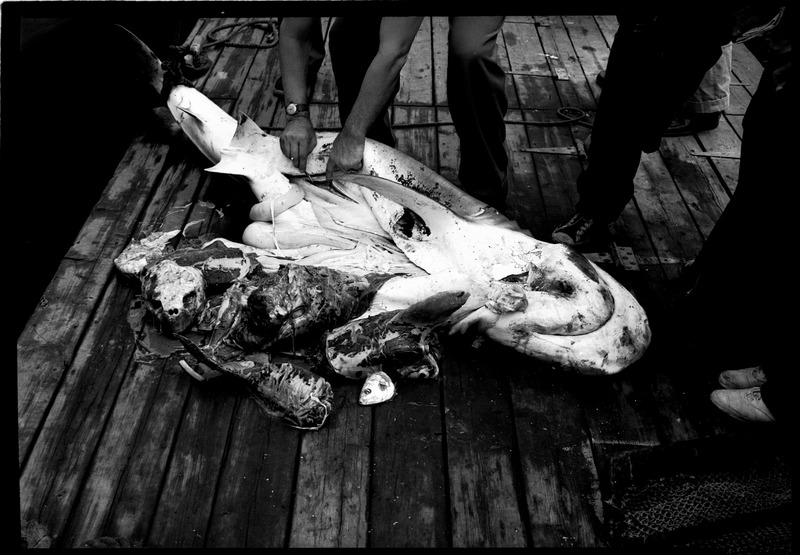 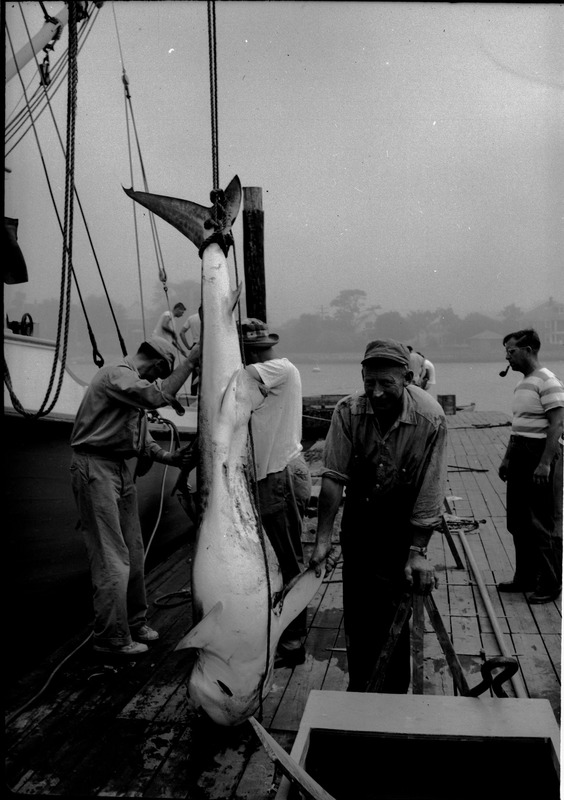 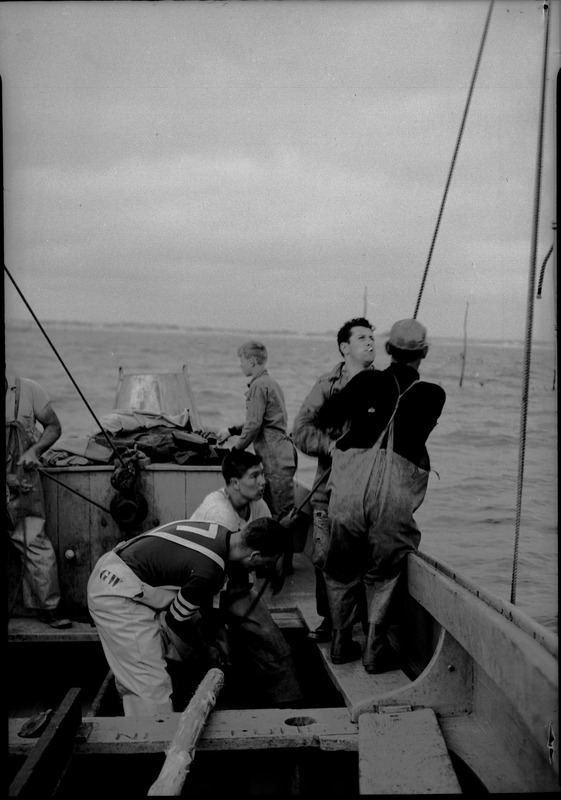 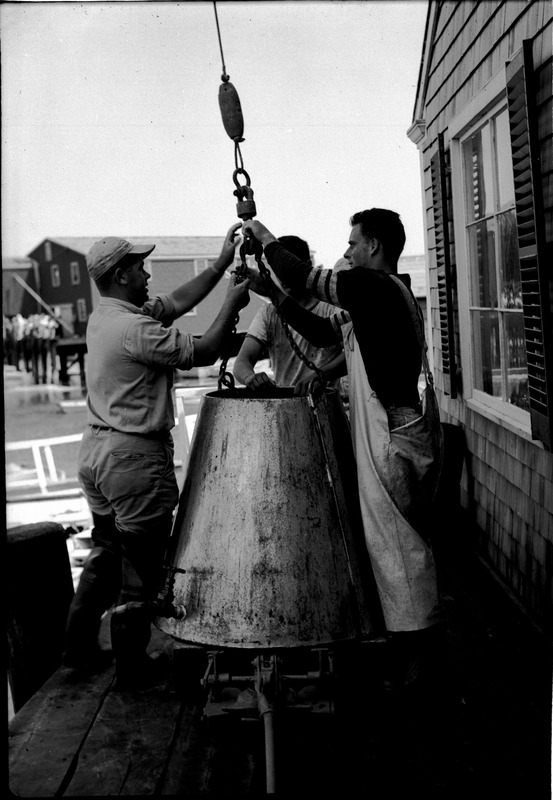 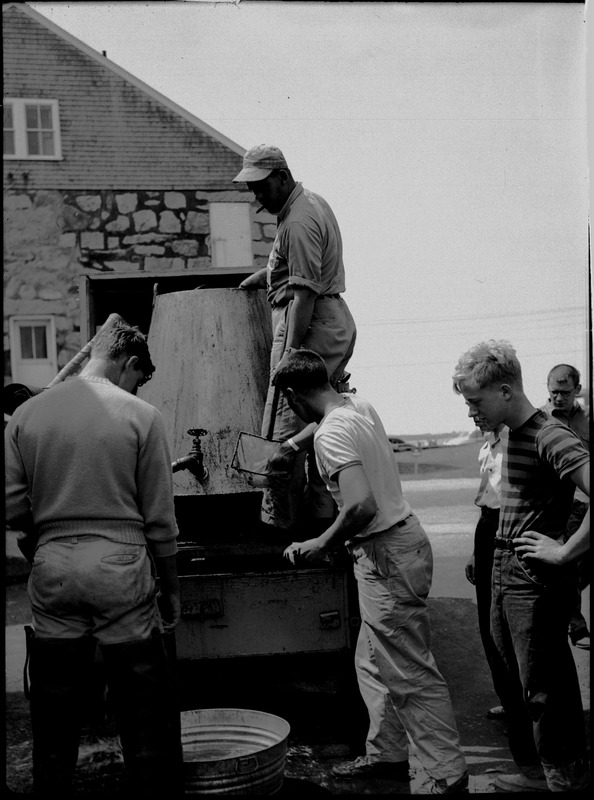 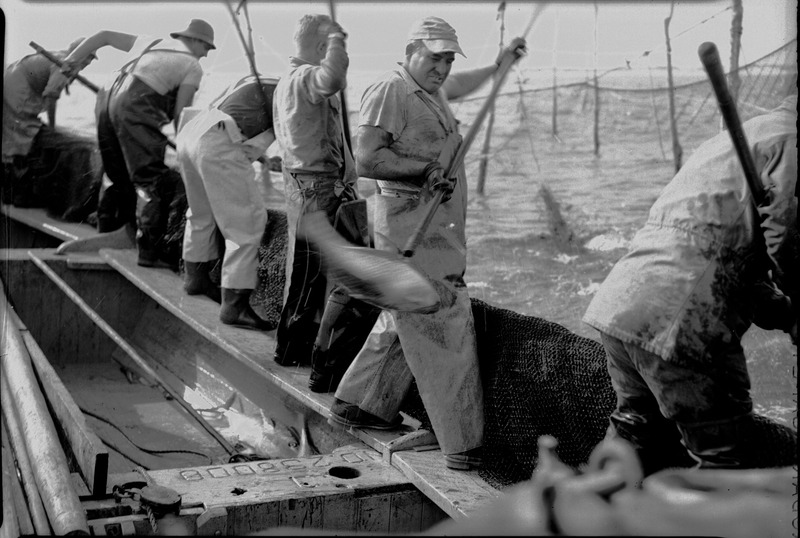 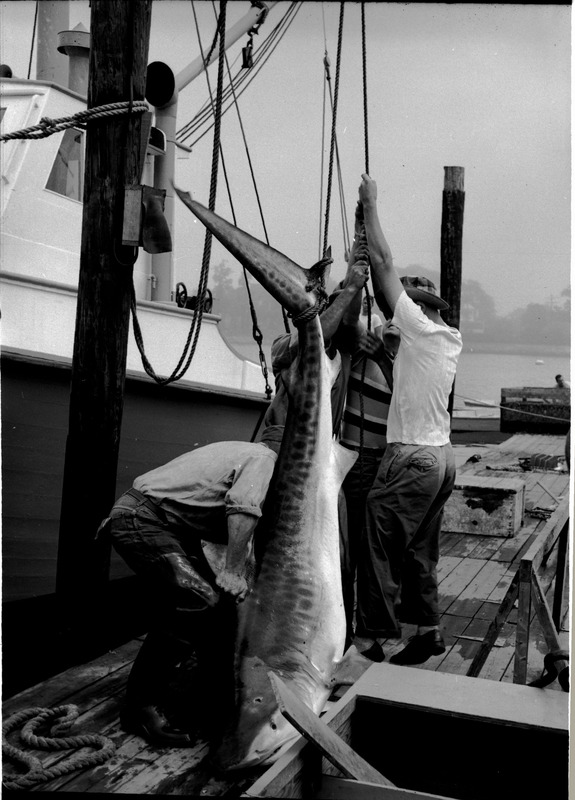 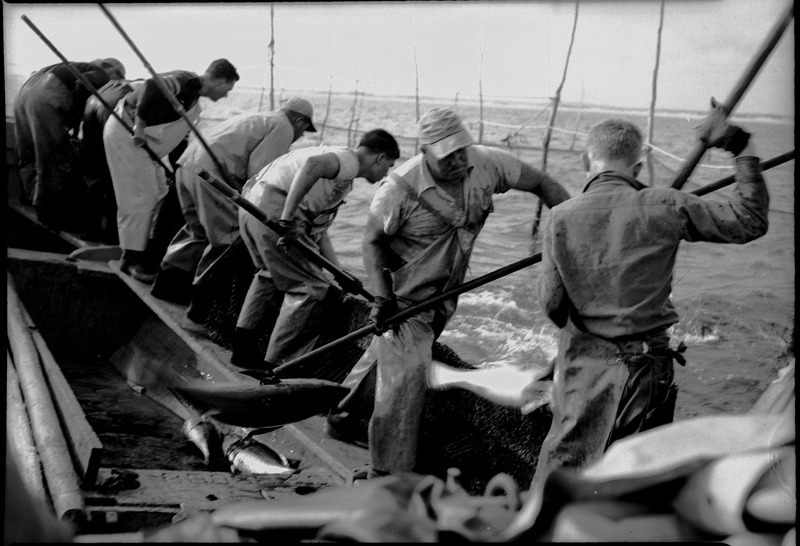 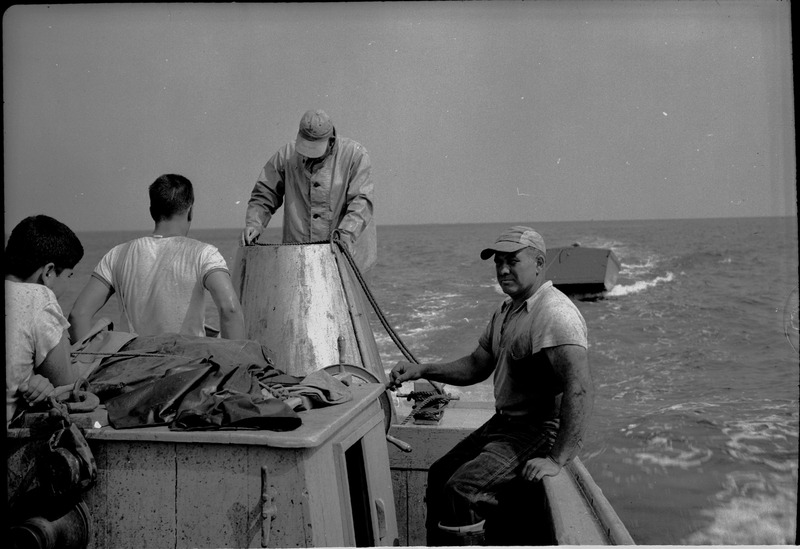 Several men working together to raise a shark by its tail.